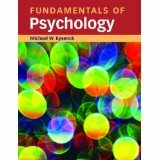 Aimed at those new to the subject, Fundamentals of Psychology is a clear and reader-friendly textbook that will help students explore and understand the essentials of psychology. All the major domains of Psychology are covered in detail across 50 manageable chapters that will help you get to grips with anything from the nervous system to memory, from attachment to personality, and everything in-between. Indispensable guide to all areas of psychology and psychiatry. HIV Stigma - How Can You Deal With It? HIV stigma is something that's partially rooted in myths and partially rooted in misunderstandings. Chances are, someone you know is struggling with depression. If this person is close to you, you probably want to do all you can to improve the way they feel. What, if anything, is going on? What do people think is behind this problem? Post-Traumatic Stress Disorder (PTSD) is one of the most misunderstood mental health conditions, and there is a wealth of myths and mistruths that surround the condition. Loss of a night's sleep may lead to serious errors in memory. Shorter and taller men in the armed forces have a greater risk of depression than their average height colleagues, according to a study reported in SAGE OPEN. A specific DNA sequence has been significantly associated with the likelihood that an individual is linked with a leadership position. The acknowledgement of racism hinges on people's knowledge of history. If you are a member of a group that has been disadvantaged in the past you will not be surprised that this is frequently not acknowledged - and may be denied - by people from other backgrounds. Resilience and life satisfaction seem to be inter-twined. Research shows possible mechanisms for contagious laughter. Single baby boomers have a lonely old age ahead according to new statistics from Bowling Green State University's National Center for Family and Marriage Research (NCFMR). How power can fuel the overconfidence that causes people in leadership positions to make bad decisions. Japanese people pay more attention to the tone of voice than facial expression. Employees who readily volunteer even for unwanted tasks tend to be disliked by less selfless colleagues. The current revision, which the authors acknowledge is controversial, takes into account developments in areas such as neuroscience, developmental psychology and evolutionary psychology. Individuals who keep busy, even with relatively pointless activity, tend to be happier than those who do not. Developing greater workforce commitment can be as simple as asking employees to reflect on their organization's history. Despite changing attitudes towards interpersonal relationships, women feel significantly more guilt than men. Infants who are excellent at processing novel information when they are just 6- and 12-months-old are likely to demonstrate excellence in intelligence tests and academic achievements as young adults in their 20's. Stress in adolescence may have a negative impact on health in adulthood. Healthy teenagers reporting interpersonal conflicts had increased levels of C-reactive protein an inflammatory marker associated with later development of cardiovascular disease. Consistent contributors help to increase efficiency by positively influencing less motivated members of their group. Purchasing experiences rather than possessions results in increased well-being for consumers and others around them. Research led by the Université de Bretagne-Sud found that playing loud music in licensed premises led customers to drink more alcohol over a shorter time period. A study of the instinctive tendency for people in a group to stare at the person most likely to be offended if a controversial comment is made. New light on ways in which people are prepared to sacrifice personal advantage for the common good and what happens when freeloaders take advantage of their altruism. Significant differences can be seen in how people from eastern and western cultures assess interpersonal situations. Longstanding anxiety significantly increases the risk of heart attack in men, even when other common risk factors are taken into account. Depression increases the risk of intellectual decline in older people and can be a predictive factor. Research from the University of Oregon published in Psychological Science suggests that short-term memory capacity is a strong predictor of IQ. Recent research has shown that negative emotional memories can be suppressed with practice, offering the possibility of new treatments for people suffering from a range of conditions including post-traumatic stress disorder, phobias, depression, anxiety and obsessive-compulsive syndrome. In-group bias is the basis for discrimination, the favoring of people in your group over those in another. Study supports the popular notion that men and women differ when it comes to colour preference. Two studies shed light on the process of learning new languages.